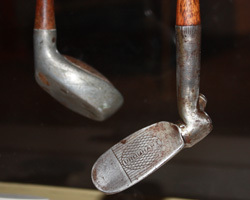 The origins of golf are debated by historians and archivists alike. What’s not debatable is the popularity of this great game throughout the world. Celebrating its vast history is a palace of archives on the outskirts of St. Augustine, Florida. 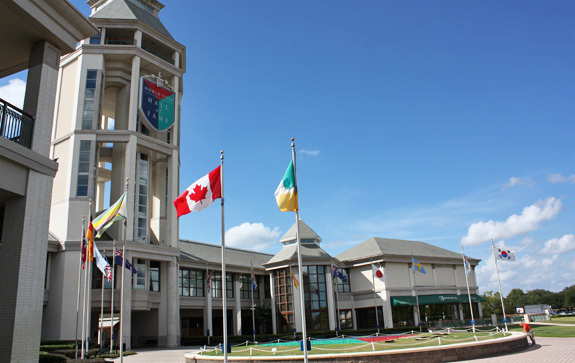 Located between Daytona Beach and Jacksonville on I-95 is the World Golf Village; home to two championship courses, hotel complexes and the remarkably educational and celebratory collection of golf history in the World Golf Hall of Fame. The original hall, formed by the PGA of America in 1974, was housed in Pinehurst N.C. As it out-grew the space, the PGA Tour under the guidance and vision of Commissioner Dean Beaman, collaborated with the other world associations to build a fitting temple to the game and its history. It is truly a facility dedicated to the celebration of “world” golf. This shrine to the game’s history and its legendary personalities is a must for anyone to include on a trip to the area. The Hall provides both golfing enthusiasts and weekend duffers a chance to explore the roots of the game, the innovations of equipment design, and discover some of the unknown treasures of the sport. A splendid blend of exhibits, some permanent and some in celebration of highlighted inductees are carefully arranged to provide a flowing timeline. Entering the Hall, guests are greeted with a major exhibit hall featuring a golfing personality; currently a tribute to the golfing legacy of Bob Hope. A timeless journey through the founding of the game then begins with the debate as to the origins of the sport. Exhibits featuring the tales of the early rules and primitive equipment are topped with a photo opportunity on a replica of the Swilican Bridge, complete with muralled background of St. Andrews. The evolution of the game in the 19th Century provides a glimpse at the next generation of clubs, and of course a putting green designed for the Gutta-percha era. Go ahead and take your best shot. 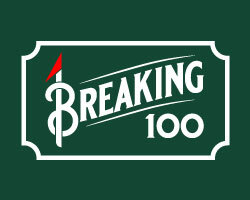 The progression through golf history provides access to some of the primitive technologies used, while mixing it with a blend of a multi-media putting green complete with stadium sound effects and interactive scoreboard. Challenge your buddies to a showdown on the short stuff amid the cheers. Later, the cutting edge simulator let’s you execute shots as some of the immortals enshrined here could. The 19 storey tower is home to some of the most coveted hardware in all sport. Here you find the epitome of a trophy room. The Claret Jug, Ryder Cup, President’s Cup, Wannamaker Trophy and U.S. Open Trophy are all housed in the confines of this one spectacular room. Any golfing fan will be hard pressed to come back down the elevator. 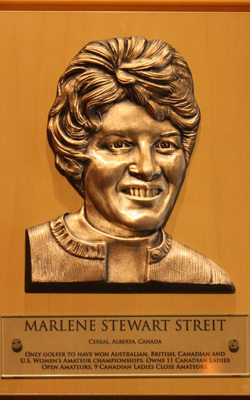 The gallery of inductees is a masterpiece. Oil canvases with each year’s class followed by the individual bronze busts are both inspirational and memorable. Seeing all of these names in one collection is a moving experience. The inductee locker room housing some of the most cherished items in their golfing careers is the final stop before the gift shop and exit. The rest of the World Golf Village is a fantastic compliment. After a well spent visit to the Hall, combine it with a trip to the on-site nineteenth hole, aptly owned by one Bill Murray of “Caddyshack” fame. A fine collection of memorabilia and fond memories await. An 18 hole natural grass putting course and island green challenge hole give a fun test to guests. The 2 championship courses, “King and Bear” as well as “Slammer and Squire” give those seeking a chance to experience the best of Florida golf a place to challenge the fairways. The Southeast’s largest IMAX theatre caps off your visit with excitement. 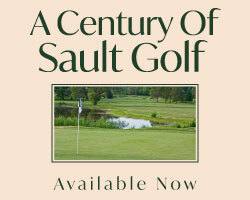 There may still be some debate as to the origins of golf, but there is no doubt where golf’s history is located. The World Golf Hall of Fame is an inspiring, educational and wonderful tribute to the game and its great characters.